As well as practical hands-on free product training, we also offer specialist training courses at our centres across the UK. 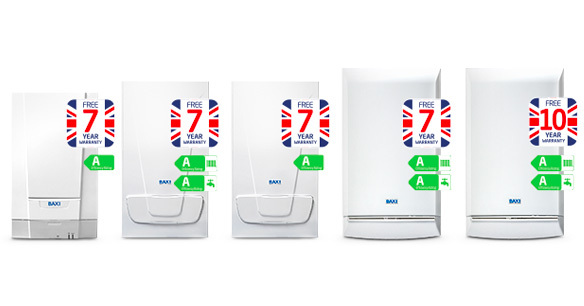 Gain access to our excellent warranty offers of up to 10 years on selected products, when you become a member of Baxi Works. Works is here to make your life easier, with priority call out with Baxi Customer Support, free Gas Safe notifications, easy warranty registration, technical help, free annual service reminders and a Baxi Toolbelt App. Plus, for every appliance you register we will give you points that you can redeem in our rewards catalogue. Watch our video to find out more about Baxi Works. Our new mobile app enables you to scan the boiler promotional barcode and register the warranty and Gas Safe notification quickly and easily when you're on the go. In addition, the app features your Works account statement, access to FAQs and the forum, and handy tools such as a Quick error code finder, Gas pipe sizing calculator, Multi drop gas pipe sizing calculator and a Gas rate calculator. Can anyone join Baxi Works? We're here to make your life easier. Whatever your query - we can help!